← Bombay Nights (and days). It may well be spotlessly clean and full of extremely polite, and helpful staff, but home from home? Not quite. Having left the relative ‘comfort’ of Mumbai and the friendly Hotel Residency I have now ventured east, into the heart of Maharashtra state, to one of the major onion producing regions of India. The 5-hour train journey to get here was surprisingly uneventful and, for a ticket price of £2, I enjoyed a relatively comfortable seat. The train arrived on time and it was a fairly straightforward procedure hiring a taxi and getting to the hotel. It’s Election Day today and so an alcohol ban has been in place for the past 48-hours. This may not be a bad thing because by the sound of it, very much like back home, the voting population is extremely confused. Alcohol would only make matters worse. The food has so far been exceptional. Last night I enjoyed a gorgeous chicken thali, which is an Indian and Nepalese meal made up of a selection of various dishes. 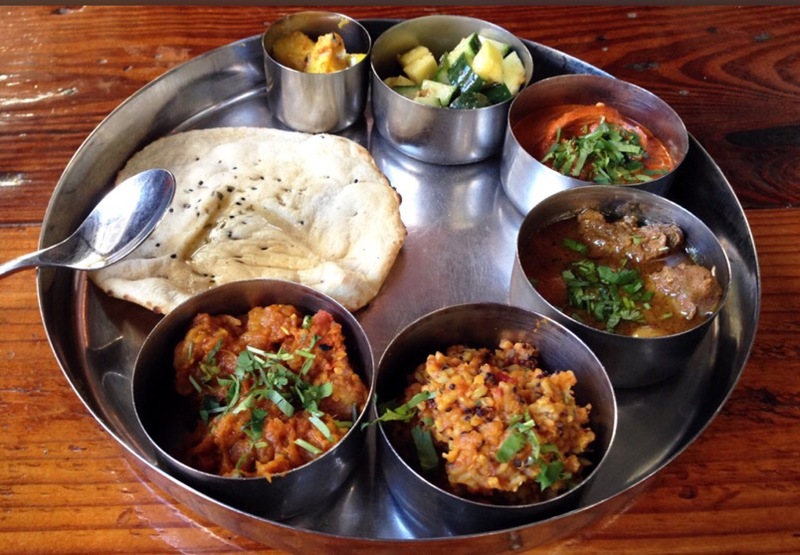 Thali dishes vary from region to region in South Asia and are usually served in small bowls, called katori, which are placed on a round tray, the actual thali – often a steel tray made with multiple compartments is used. Typical dishes include rice, dal, vegetables, roti, papad, curd (yoghurt), small amounts of chutney or pickle, and a sweet dish to top it off. Restaurants typically offer a choice of vegetarian or meat-based thalis. On a rather sad note; Ted has refused to leave the tranquility of the hotel since our first orientation exercise. We had decided to venture into the city centre for something to eat, it’s about 3 km from the hotel but it took the auto rickshaw driver nearly 40 minutes to get there. The traffic was throbbing and the exhaust fumes overwhelming. At one point our driver ran into the back end of a car and badly dented the bumper. There was no way anyone was going let the two vehicles stop and exchange ‘insurance’ details. In fact neither vehicle even attempted to carry out such a futile act. When we arrived at the restaurant all I wanted to do was grab an ice cold beer to help calm my nerves, but then I remembered….. no alcohol allowed. You take life into your own hands when crossing the roads here. Sure you can look left, look right, then look left again but it won’t make a scrap of difference – there’s just never a break in the traffic to actually cross safely. It’s literally a case of dodging the vehicles, which appear to be hell bent on getting to their destination as fast as they possibly can. I have now taken to crossing the road with groups of Indians – safety in numbers! 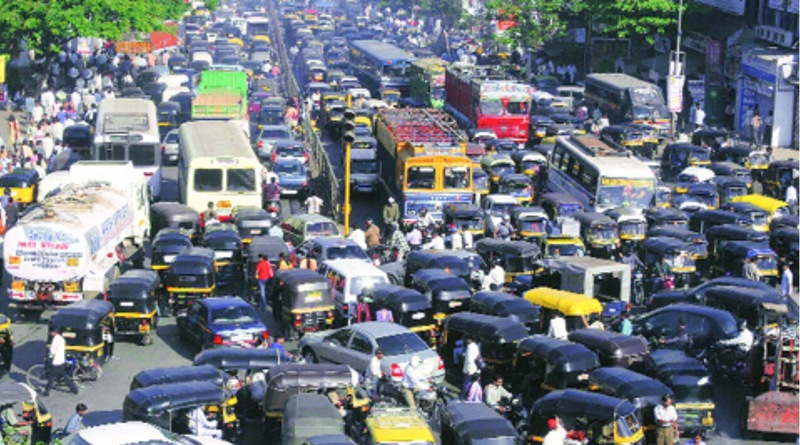 It’s not just the volume of traffic but the volume of the traffic, horns honking, engines revving. At least I have secured some initial meetings, which has lifted my spirits considerably. I was beginning to wonder how on earth I was ever going to get my head round this current project. 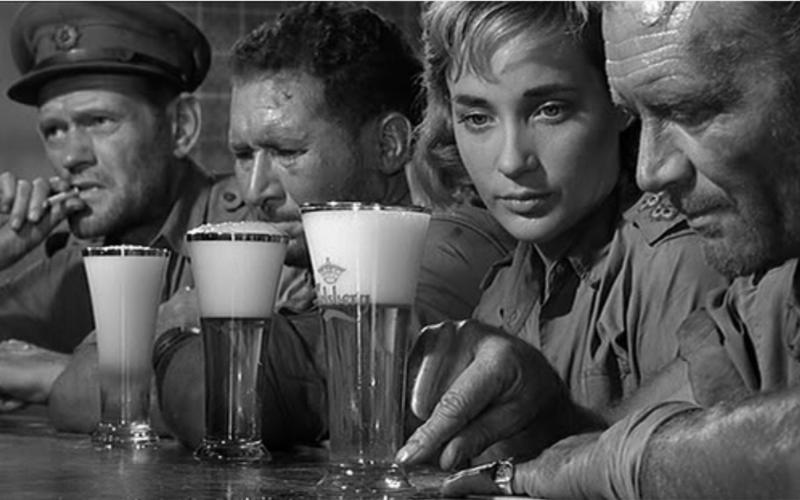 So, if you read this with a cold beer in your hand – spare a thought!! This entry was posted in India and tagged Pune. Bookmark the permalink. 2 Responses to “Ice Cold in Alex”. Sorry I didn’t get a chance to catch up before you left on your latest adventure. Your really paint a picture there Griff! Cripes, at least it’s you, don’t think anyone else could do it! Having said that it sounds enlightening. How long are you going to be out there? I’d perhaps be keep to visit at some point early on next year.